Strong, if the wind I'm facing. Chasing dreams and racing fathered time. Grateful, for my time with no regrets. Waitin' patiently for the sun to set. Will yell it from that mountain highhh! And celebrate God's grace on me! 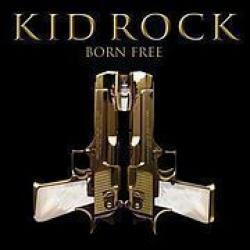 BORN FREE es una canción de Kid Rock del año 2010. La letra ha sido escrita por MARLON YOUNG, ROBERT J RITCHIE; publicada por Kobalt Music Publishing Ltd..
Agradecemos a pamelavisbal por haber subido la letra.